One day a year ago, as I set out to investigate the old Crusher Quarry, I was standing off the fire trail looking at something when a rattling sound came from up the hill. Two mountain bikers burst out of the woods in a spray of dust and gravel and jerked to a halt nearby, rear wheels tipping off the ground. “That was intense!” I heard one say. Then they rode a few yards down the fire trail to Mountain Boulevard, where someone in a pickup had just arrived to meet them, and a minute later they were gone, with no one the wiser except for me. Where they’d come from, tracks ran up a delta of dirt to a narrow trail. It was really steep, and slippery too (that was a dry winter, you’ll recall). A false move might get a rider impaled on young acacia stumps. And if another biker had hurtled down upon me I had precious little space to duck. I climbed the trail a bit nervously. None of us really belonged there. Bikers get an intense ride here. An intense ride is a legitimate thing. But isn’t all they see here just a blur of trees during their minute of white knuckles? What I saw was untreated erosion on the ground, an unpermitted trail in the city’s Leona Heights Park, and a community of scofflaws for whom it’s their personal secret. After a while I struck off the trail to continue my own intense hike, and that was that. Then the other week I found the trail’s top end, near the Merritt College parking lots. The trail is pretty nice up there. Not exactly legal, but not in the city park either. Useful. I even approve of it. I saw access to some nice countryside with splendid views, a well-built trail that suits the slope, and a community of avid cyclists for whom it’s their personal secret. Once again I got sidetracked, so I haven’t traveled the whole trail yet. Clearly, though, the top and bottom segments, Jekyll and Hyde, meet at the fire road in Leona Heights Park. It would be really nice if the lower part were converted to foot traffic only, with erosion control and occasional steps. Mountain bikers could take the fire road down to McDonell Avenue. 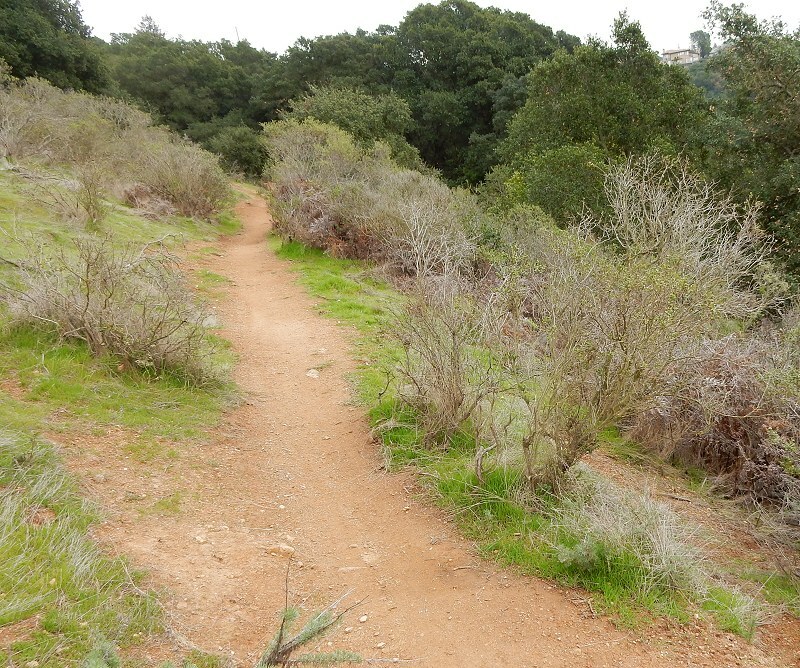 At Leona Canyon Open Space Preserve, less than a mile south, “the park is an ideal place for hiking, running, biking, dog walking, and similar activities.” The intense, pellmell riding experience can be had on either the Artemisia or Pyrite trails there — just not the thrill of living outside the law. This entry was posted on 15 February 2016 at 8:03 am and is filed under Leona volcanics, Other topics. You can follow any responses to this entry through the RSS 2.0 feed. You can skip to the end and leave a response. Pinging is currently not allowed. Hi Andrew- I live up on Skyline and jog through Huckleberry Park on a daily basis. Sadly, I encounter mountain bikers or their trails every week. Huckleberry is a no bikes zone- use Sibley or Redwood for that. Please, folks, Huckleberry is too narrow, fragile, and filled with folks and their kids. Even when I jog, I yield right of way to the unaware. A little courtesy goes a long way for everyone. Don’t risk other folks safety and a protected park for your thrills. Hi, I have another solution. 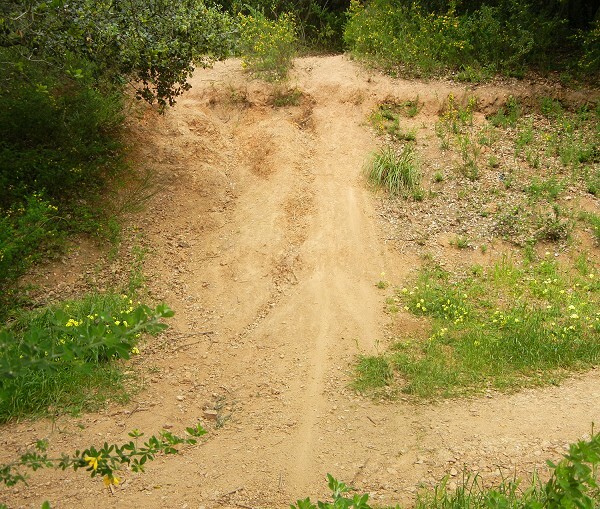 Allow mountain bikers to actually build fun, challenging, erosion friendly trails in that area and others and let the hikers walk on the fireroads with their kids and illegal off leash dogs and left behind bags of poop (see this illegal stuff can go both ways). It can be done and is done in many places all across the country with as or more sensitive ecology as the Bay Area all the time. Also, as far as erosion goes many of the trails in this area were built badly and are eroding terribly simply from hikers and rain. 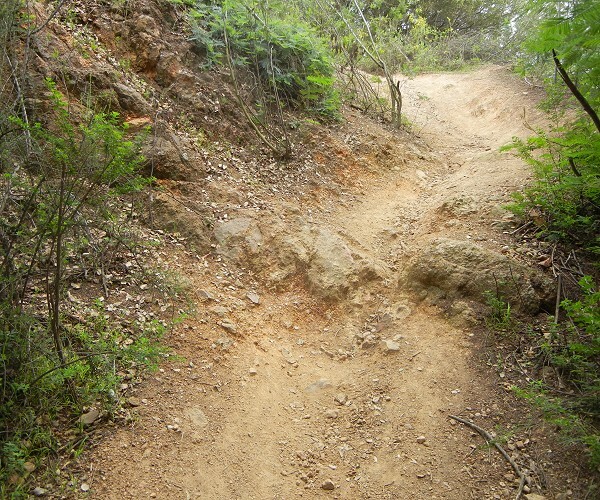 Routing a trail straight up or down a hillside is a bad idea regardless of the user base. And horses have a much larger impact on trails than bicycles, the difference being there are many fewer horses since you need to be quite wealthy to afford horses in this area. And our parks are not just for rich people even if that’s how it all started. I do not advocate for riding illegal trails but when an area with as large a population of mountain bicyclists is limited to so few legal, narrow, challenging trails that is what you end up getting. And putting all those riders on the few trails that are available also increases the wear and tear on those trails. And just because the trails are fun and challenging to ride with some speed does not mean the participants are not enjoying nature and their surroundings with as much joy as you or others. Not to mention they want to keep natural areas natural as much as you do and are an ally when it comes to fighting the forces of development.